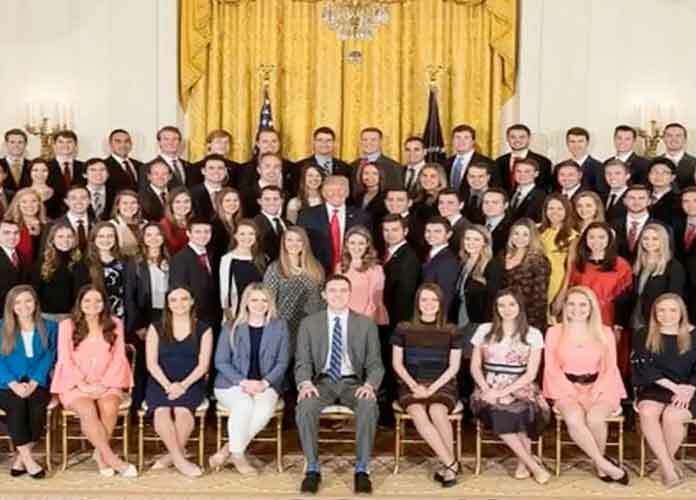 The White House released a photo on Friday of its spring 2018 interns, and many political pundits and social media observers quickly jumped on Twitter to denounce the clear lack of diversity. Only three African American males were part of the class of 206 interns. There were no African American females or other minorities represented. Of course, it is possible that very few non-white young people applied for internships at the White House last year, given the Trump administration’s positions on minorities including African-Americans, Hispanics and Muslims, and its refusal to overtly condemn violent incidents of white supremacy like the alt-right rallies held in Charlottesville, Virginia in August 2017. For this reason alone, the lack of diversity may not be surprising to many people. Donald Trump’s cabinet was also criticized by the media early on for being significantly less racially diverse than previous presidential administrations. Among the few non-white top-ranking officials working in the White House is Housing and Urban Development Secretary Ben Carson. Trump had also hired former The Apprentice star Omarosa Manigault-Newman as a senior adviser, but she was ousted in December after serving less than a year as director of communications for the White House Office of Public Liaison. Manigault-Newman revealed following her departure from the White House that the toxic work environment had made her extremely uncomfortable and upset. Labor Secretary Alexander Acosta, Transportation Secretary Elaine Chao, and U.N. Ambassador Nikki Haley are among the other non-white members of the Trump administration. In July 2016, under Barack Obama, a similar photo of White House interns posing with Speaker of the House Paul Ryan sparked controversy for similar reasons.